Sometimes, when an artist goes "back to their roots" the results can be iffy. 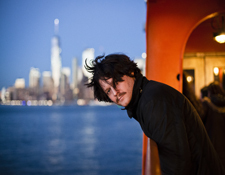 Not so the case with Zach Condon's latest album as Beirut, a song cycle which sets sail from the opening grooves and soars for 44 minutes and 36 seconds. The journey effectively takes you from his native New Mexico to Oaxaca to Brooklyn, Berlin and Italy and back. On Gallipoli, the roots-return element is the presence of a beloved old Farfisa organ which graced his first two albums. But the story is more complex and wondrous so click here to visit Beirut's website which has a letter from Condon explaining everything. 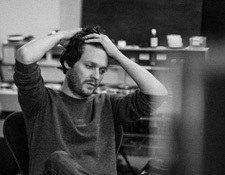 Indeed, moving to Berlin and recording parts of the album in Italy has given this album a fresh feel while maintaining the essence that makes Beirut's music so enticing. Trumpets, interlocking musical signatures, repetitive motifs, Latin-flavored horn charts, rich-yet-clear vocals plus dense 1967-era Brian Wilson-inspired harmonies and quirky percussion all add up to a cinematic music that genuinely sounds like nothing else in present times. At least, it sounds like nothing you might expect to hear on 21st Century commercial radio. At times Beirut feels like a time machine to an alternate universe of music that might have been played at after hours private European social club events in the early part of the pre-jazz 20th century. Organ grinder flavors, oom-pah rhythms and horns-a-plenty texturize the introspective songs as you sip Absinthe or Fernet-Branca to chase away the woes of life momentarily. Beirut could be silent film soundtrack music played by a low budget half orchestra in an aging theater or in the same breath the lounge band on the first big cruise ship after the Titanic. I came on board as a fan of Beirut not long before their third album called The Riptide was released in 2011. It was actually an earlier double-EP that I heard playing in a record store which pulled me in: March of the Zapotec / Holland. It was there I heard this expansive sound of a Mexican brass orchestra merged with a modern, clean vocal twist that bordered on Cantorial in terms of delivery. You can read my review of that album and The Riptide by clicking here. Beirut's music genuinely sounds like few other things I've heard in the pop music world, save for perhaps Kate Bush,Tom Waits or maybe later period Marianne Faithful. 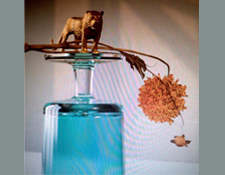 The last Beirut album, No No No, was lovely interim pop release revolving around upbeat acoustic Piano and (what sounds like Fender Rhodes) Organ motifs supported by different textures such as acoustic Guitar, Cellos and sparkly Glockenspiel. The horns are still in there but they charts they play lean more toward Chicago than Los Lobos. You can read my review of that by clicking here. 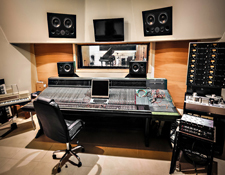 Gallipoli was largely recorded in the Southern Italian countryside at Sudestudio with vocals overdubs and mixing done in Berlin. Accordingly, the album has a fresh, decidedly non-American vibe underlying. If you turn up this record you can feel the rooms they were recording in. Lots of nice air there. All this contributes to the flavors of Gallipoli : For example, the 6/8 swirl of "Gauze für Zah" feels in the same breath like rolling waves and country back roads. "Corfu" opens Side Two with a smooth groove I could easily hear Astrid Gilberto crooning over. I'd love to hear Brian Wilson cover "Landslide." Condon's world weary voice belies his bright surface. Somehow, Beirut's music fits alongside that newish wave of modern bands who rock the higher registers. Don't expect to hear the deep resonance of Pearl Jam's Eddie Vedder or Springsteen here. His vocal approach leans more towards that of Ra Ra Riot, Vampire Weekend and Fleet Foxes, in that regard. A young Billy Joel and Emitt Rhodes come to mind as well. Perhaps consider Beirut like what might happen if you sent the imaginary young half-nephew of Tom Waits on a one-way bus trip to deepest Mexico with only inner reserve and resourcefulness to make his way back home to tell his tales. Gallipoli is easily my favorite Beirut spin since The Riptide, a record which seemed to find a nice balance of worldly music flavors, melodic introspection and lighthearted pop sensibilities. Gallipoli is streaming up on Tidal in CD quality and sounds pretty nice overall, albeit quite a bit brighter and sharper edged than the richer sounding vinyl; the included 320 kbps MP3 download also has that crispy element, perhaps even more so. How this factor might impact you, Dear Listener, is that it might make Condon's voice sound less appealing to you. He already has a clean pure voice so when it gets chopped down to this resolution, it loses some warmth. 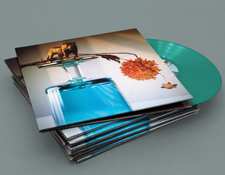 So keep that in mind when sampling these recordings on streaming services and such: the standard weight, quiet and well centered teal-colored vinyl version of Gallipoli sounds much bigger and warmer overall. Dare I say it sounds almost analog in flavor? While I don't know for sure, I suspect it is probably made with combination of analog and digital recording techniques. Sudestudio shows a nice 16-track two-inch tape recorder on its website, so it stands to reason that they might have used that for recording the basic tracks. Whatever the case, Gallipoli sounds lovely and the music sublime. I'm very much looking forward to seeing them on their current tour.